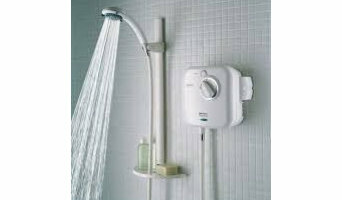 At Spa Electrical we pride ourselves on been reliable & cost effective. All electricians are fully qualified with over 10 years experience. We work with you from start to finish to achieve the the installation that works best for you. We have confidence in the work we do which is why all our work comes with a 12 months guarantee! We are a medium sized electrical contracting company that carry out domestic and commercial electrical installations and maintenance in York and the surrounding areas. We are a small and dynamic team of electricians in Leeds providing professional electrical installation in Leeds covering the North of England. A small family business we are committed to providing high quality installation and reliability whilst being as competitively priced as possible. We have a keen eye for detail and love to help our customers achieve their desired outcome. We have great industry knowledge and have access to a large range of products that can really make a difference with your project. Our multi disciplined electricians all have relevant qualifications and years of trade experience. Our team provide quality work that is legal and compliant delivered in a professional manner. For peace of mind we are registered with Stroma Certification as part of The Competent Persons Scheme. AJOB Electrical Ltd provide electrician services in West Yorkshire and are based between Leeds and Wakefield. Our services include electrical works from a re-wire to a fuse, CCTV, Access control, Intruder alarms, Fire alarms, Garden power/lighting, Electric heating, Central heating controls, PAT testing, Audio visual installation, Emergency lighting, Data cabling including fibre optics and networking services. We are focused an providing high-quality service and customer satisfaction to our customers in Leeds. Weather you need a domestic, commercial or industrial electrician, we will do everything we can to exceed your expectations. Elecrical installation services Electrical inspection & testing services Full & part Rewire Specialist, from a basic rewire to complete high spec rewiring. The CCTV Installations industry has come a long way in the last 10 years, from the 420TVL, 600TVL or even the 700TVL dinosaurs, so if you are one of those who in the past few years have purchased the old analog Surveillance System that used to come with the small cameras and the short pre-made wires that just did not look professional no matter how you tried to install it, its time to change your cameras, that has become a thing of the past. In today`s age HD, Security Cameras are the perfect way to get a clear picture of a thief in the darkest of gardens. They come in 720P or 1080P resolution. The beauty of our HD technology is that you do not have to replace the wires, just unplug the In today`s age HD, Security Cameras are the perfect way to get a clear picture of a thief in the darkest of gardens. They come in 720P or 1080P resolution. The beauty of our HD technology is that you do not have to replace the wires, just unplug the old camera and plug the new HD Security Camera. Or if you need something even better we can offer you an IP Megapixel camera that can work as a Wireless Night Vision Spy Camera as well all the up to more than 5 Megapixels. Make sure to give us a call today at 0800 0132341 to speak with one of our experienced surveillance camera installers. Security Services and What we Do CCTV Smart Systems and Security Products offer Professional Security Installation services that vary and dependent on the type of job you are looking for. Our professional contractors have the skills to craft a complete security system from Alarm systems, access control systems to video surveillance & security camera systems. A typical CCTV Installation for Home security cameras can usually be undertaken by a single man install team (a single family home up to two stories). For Commercial/ Business, CCTV installation services we recommend a floorplan overview and/or a site survey. Standard equipment used during a CCTV Smart Systems Security Products installation service can include but is not limited to, a security recorder (DVR/NVR), CCTV Security cameras, access control panels, access control readers, alarm sensors, power and video cabling. On our initial walk thru, we can address all security requests from alarm systems, to access control to surveillance. During our walk-through and consultation, our installers will create, design and estimate the system that will best fit your budget and CCTV Installations security requirements. Whatever your smart home, electrical, security or audio visual needs, from start to finish Integrated Systems and Technologies Ltd can install and manage your project. Here at IST Ltd, we pride ourselves on being electrical contractors, system integrators and audio visual specialists. This means we can offer a full turn-key solution to your project be it a renovation, simple house rewire or fully integrated smart home. Lighting is a crucial part of any project and can really lift the final look and mood of your space. We offer creative and intelligent lighting design and products which enables us to really enhance and finish off your project. Also in an increasing energy aware world this lighting can be both efficient and beautiful. We design, supply and fit multi-room music systems, using a range of products from in-ceiling or stand alone speakers, to the award winning hidden Artcoustic products which encourage a client to reflect their own individual style and offer complete design freedom. All of this is controllable from your phone, iPad or computer giving you easy access to all your music at the touch of a button. We fit the very latest ultra HD TV distribution and dedicated state of the art Home Cinema rooms incorporating cutting edge technology. We work with you to design and fit your project seamlessly linking all of your entertainment needs. We also offer a full home security service providing UHD and HD CCTV, alarm and lighting solutions along with a full maintenance and technical support service. These can be linked and controlled by your phone and iPad giving you control and peace of mind whilst at home and when you're out and about. We can integrate all this smart home technology making it instantly and effortlessly controllable both at home and remotely. Integrated Systems and Technologies Ltd are committed to delivering the highest level of quality and service to all our customers and as proud members of CEDIA (Custom Electronic Design and Installation Association) we ensure that professional service to the highest standards. We are also proud to have been registered with NICEIC for many years and maintain Approved Contractor status. Combining both our home technology products and expertise, with our electrical contracting experience, we are able to offer the full, turn-key package when it comes to your home. 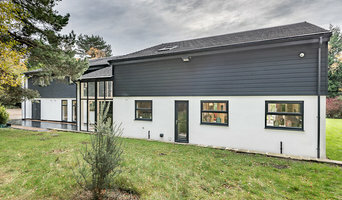 We are a family run electrical contractors based on Thorp Arch Estate near Wetherby and Tadcaster, established in 2008, currently working on domestic and commercial projects in and around Yorkshire. Our team of apprentice trained electricians have a vast experience of electrical installation and maintenance skills. All employees’ are trained to BS7671 17th Edition electrical wiring regulations. Over the years Utley Electrical has gained a reputation of being a reliable and competitively priced contractor. Our aim is to work with customers to produce a product that ticks all the boxes within their desired budget. Working this way has enabled us to build up good relationships with our customers giving them the confidence to call us no matter what size or how urgent the job. 2008 - BEFORE & AFTER Adam Utley is a fully qualified electrician who steadily rose through the ranks to become Electrical Manager of the Yorkshire branch of a large national heating, plumbing and electrical firm. Having always wanted to run his own business Adam put his experience to good use and set up his own company; Utley Electrical, in 2008. Operating as a 'one man and his van' unit to begin with, Adam successfully grew the business via word of mouth recommendations based on his excellent workmanship and professionalism. Over the past seven years Utley Electrical has steadily grown and now has a 6 strong fleet of vehicles and employs 7 members of staff working from our offices at Thorp Arch Estate. Adam has been careful to keep the level of training, workmanship, industry knowledge and customer care high amongst his workforce, since it was this ethos and the reputation he earned as such, which initially grew the business and today his principles are unchanged. The fact that Utley Electrical has a very low staff turnover level speaks for itself. As well as the Utley family members (currently 2) working for the business, we are delighted that the electricians and administrative staff we have recruited over the years are keen to stay. We are proud to say that with Utley Electrical you are in safe hands. Expert Spark is an electrical contracting firm, based in Manchester. We specialise in various types of installations majorly domestic, commercial and industrial in nature. Needless to say, we’ve got every type of client covered. We present to you the Expert Spark advantage which is a guarantee of amazing results once you let us wave our magic wand on your construction. We are currently offering the best prices for electrical installations in Manchester. This we do because we have genuine concern for our customers. However, we offer price match guarantee for identical materials and services. Our electricians provide installation, maintenance and repair services to domestic and commercial customers throughout Harrogate Ripon Knaresborough Boroughbridge Pately Bridge Nidderdale & North Yorkshire. One of the Niddside Electrical Ltd team will provide you with cost effective and professional electrical services. The electrician will take into consideration the specifics of your problem and provide a tailored solution to meet your specific requirements. What type of work do we carry out? 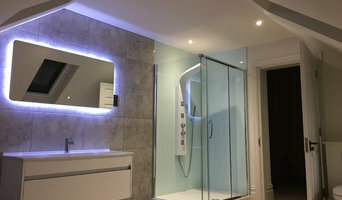 We are expert in all domestic and commercial electrical work in Harrogate Ripon Knaresborough Boroughbridge pately Bridge Nidderdale & North Yorkshire This includes electrical testing, fuse boards and earthing, kitchen and bathroom electrics, electrical lighting, underfloor heating and all commercial services. What do I do next? Give us a call on 01423520720 or use our contact form to provide us with a detailed description of what you want done. We'll respond with a detailed, no obligations estimate as quickly as possible. Electricians in Leeds, West Yorkshire can handle all sorts of jobs, from small to big, when it comes to domestic electrical work. If your home project is a large one, you’ll probably want to involve local electricians in the early stages and they can plan, alongside the architect and builder, how the wiring will be set up throughout your house. Single room renovation, or just updating elements of one room, will require less electrical work but hiring qualified, local electricians is still advisable. Electrical contractors will be able to install lighting, fix electrical sockets in place, set up large electrical appliances and wire up systems such as surround sound stereos. Talk to a professional electrician in Leeds, West Yorkshire about any special electrical projects you have in mind, such as some innovative outdoor lighting or some up-lighting in your hallway, to see if they can bring your idea to life. 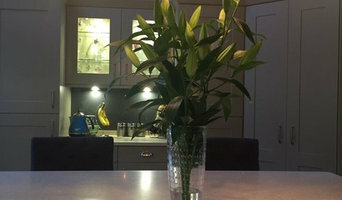 If a power cut leaves you in the dark, a fuse has blown or your plug sockets stop working, then you can find emergency local Leeds, West Yorkshire electricians with Houzz that can help you. You can find a qualified Leeds, West Yorkshire electrician fast for electrical repairs by checking our list of electrical contractors and professionals. Search for your area or postcode to see electricians near you. Find electrical contractors or local electricians on Houzz. Narrow your search in the Professionals section of the website to Leeds, West Yorkshire electricians. If you’re planning a large-scale project, find other professionals on Houzz who can help get the job done. Here are some related professionals and vendors to complement the work of electricians: Lighting, Main Contractors, Solar Energy Installation, Heating & Air Conditioning.